On Monday I received a call from Keith at Christopher Kennedy Design in Palm Springs. 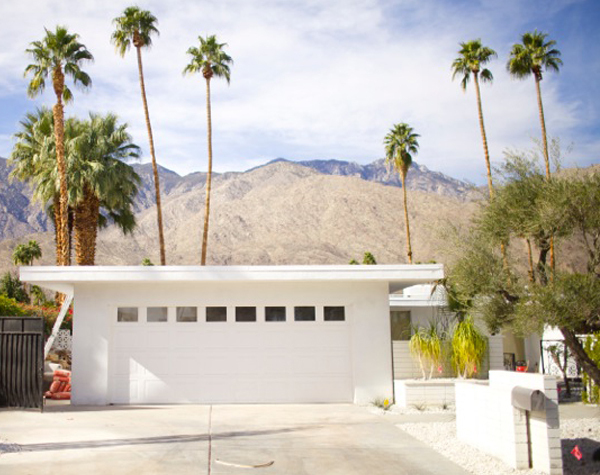 Keith was seeking a mailbox for the Christoper Kennedy Compound: Modernism Week Show House 2015. Naturally, the internet search brought him to the modbox! So, a modbox will be attending Modernism Week! Unfortunately, I’m not able to go this year, but hope to attend next year when perhaps they open the Modernism Show & Sale event to retro products. Here is a before photo showing the mailbox that the modbox will replace. By moving the side of the modbox off the wall slightly, it should make for a nice statement regarding the fantastic home and interior design that awaits those taking the 45 minute tour. Last year the Show House had over 4,000 visitors! If your able to attend, please take a photo and send it to me (preferably with you standing next to the modbox)! The Show House will feature rooms created by thirteen of today’s most celebrated interior designers. Click here for a list of designers. Here is a link to last year’s 2014 photo gallery. I can’t wait for the 2015 gallery! Hi Greg. Congratulations !!! This is great news. With 4000+ seeing your mailbox on this tour business can only get better. I see a third run of boxes coming soon. You deserve nothing less. Great idea,great product and I think perfect timing as well. All the best, Steve and Melinda.